Why is soil so important? Soil helps to provide much of the food that humans consume. Only 25 percent of the earth's surface is made up of soil and only 10 percent of that soil can be used to grow food. Soil sustains life by helping plants to grow. It also harbors worms, beetles, fungi and bacteria, providing them with the nutrients they need to live. Without soil, there would be nowhere to grow food that is the sustenance of life. Soil contains food, water and air that is needed by plants to grow. The healthier the soil, the more nutrients a plant can soak up. The healthier the plant, the better it is for humans and animals to eat. The quality of the soil ultimately affects the health of people and animals. 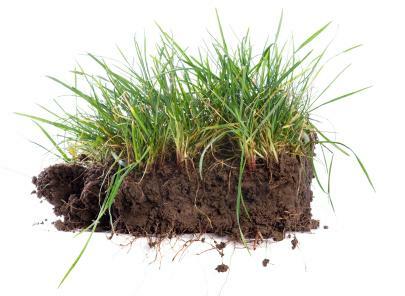 Soil is made up of organic matter, minerals and living organisms. Organic matter is decaying material such as rotting leaves and dead animals. Minerals are crushed rocks or bedrock. Living organisms include moles, worms and beetles, which churn through the earth as well as essential bacteria that help to break down organic matter. The sixth layer of soil is comprised of rock. The color is gray. Avoiding the use of chemicals that create an imbalance in the soil. The long-term effects of some chemicals may kill off unwanted pests, but they may ultimately destroy living organisms that are essential to the creation of healthy soil. Crop rotation can help maintain a healthy balance of nutrients in the soil. Each type of crop will take away certain nutrients in the soil that are not always easily replaced. Crop rotation can help to replenish certain nutrients, which will help to maintain a healthy balance. For example, wheat and oats take away nutrients while clover helps to replace nutrients. Planting different crops each year will help maintain the soil. Using compost in your own garden can help to replace nutrients necessary for healthy soil. Compost is easy to make from leaves, dead plants and vegetable waste from the kitchen. Garden plants and living organisms in the soil will benefit from compost. Just Why Is Soil So Important? Soil is more than just the dirt under our feet. It is a home for living organisms and it provides nutrients and stability for plants to grow. Without soil, the plants necessary for people and animals to survive could not exist. By caring for our soil properly, we can ensure the longevity of both animals and people. The use of crop rotation, limiting harsh chemicals and composting will help to maintain a healthy balance of nutrients, living organisms and minerals in the soil. It is important to remember that the fresh foods on which we feast affect our health. To the question, "Why is soil so important", the simple answer is that we are what we eat.